How Many Calories a Day is Nutrisystem? 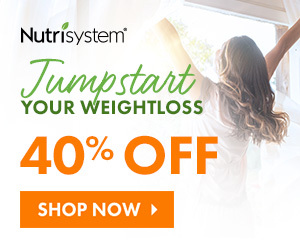 Home / Nutrition / How Many Calories a Day is Nutrisystem? We’ve both lost weight with Nutrisystem and because the meals were planned out for us – it was pretty easy!! We’ll look at how many calories per day Nutrisystem meals are, as well as, the calorie intake you need to lose weight! Typically, women eat between 1,200 and 1,500 calories per day on Nutrisystem. Men get about 1,500 calories. Luckily, you don’t have to track calories in order to lose weight though. Just follow the plan, and you’ll be set to lose on average 1 to 2 lbs a week! 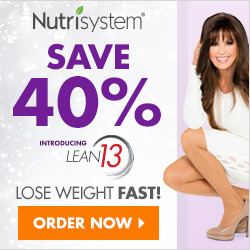 How Many Calories a Day is Nutrisystem’s Turbo 13 Plan? If you order the Basic, Core or Uniquely Yours package, you’ll get Nutrisystem’s Turbo 13 as a bonus! This week-long plan is lower calories per day than normal. You’ll be eating about 1000 calories per day in the first week to help you kickstart your weight loss. This plan is also all outlined for you, and it should not be done longer than the 7-days advised. After the Turbo 13 plan, women will bump up to approximately 1200 calories and men to 1500 calories. Their plans really can work for anyone. It doesn’t matter if you have 10 or 100 lbs to lose. If you have more than 100 lbs to lose, you’ll actually get a higher calorie count and still lose weight. You’ll get 200 more calories per day. How Are Nutrisystem’s Calories Split Up Among Macros? Nutrisystem is a lower-glycemic plan which means you’ll be eating foods that keep your blood sugar from spiking up and down. The calories are approximately 50% carbs, 25% protein and 25% fat. The Turbo 13 week, I got hungry. I wasn’t eating all of the vegetables they suggest though. Besides that week, I wasn’t hungry on the rest of the program. You could always skip the Turbo 13 plan or add in a snack if you wanted. I wouldn’t let that one week turn you off from the whole system. All 3 Plans get the same amount of calories per day. Each plan just varies in what it offers. You can compare plans here or check out our full review for more information.